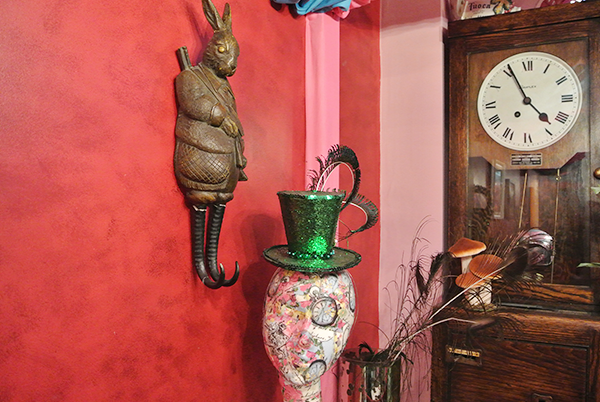 Both times we visited we were situated in the Alice-themed section, but there was also a more masculine room with a proper bar. 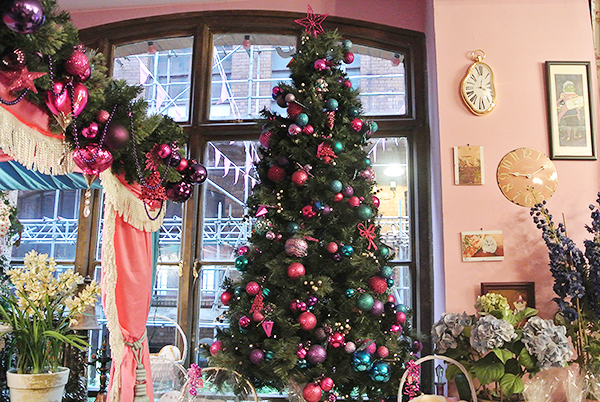 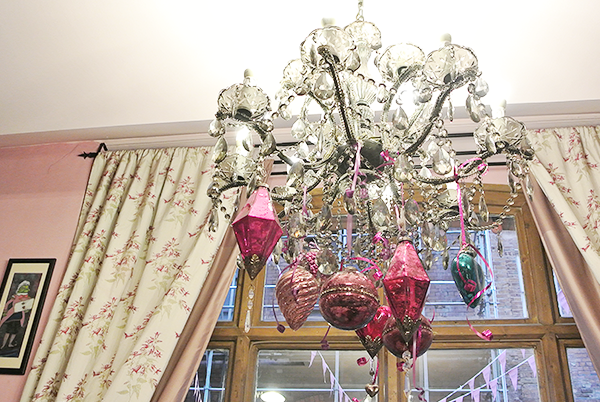 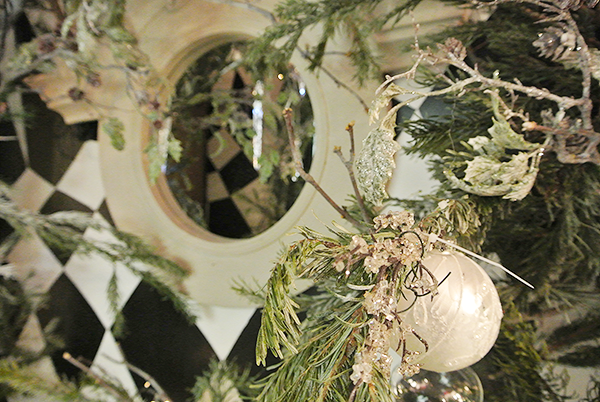 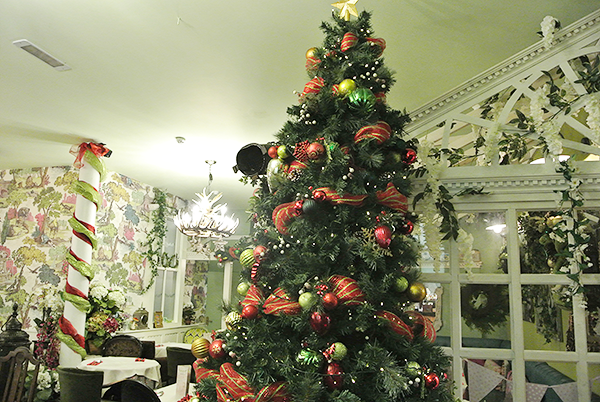 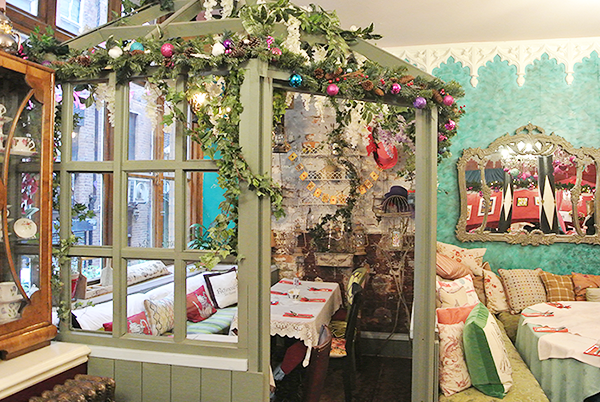 And, extra special, for the holidays there were Christmas trees and decorations scattered around as well, which made the already beautiful tea rooms even more stunning. 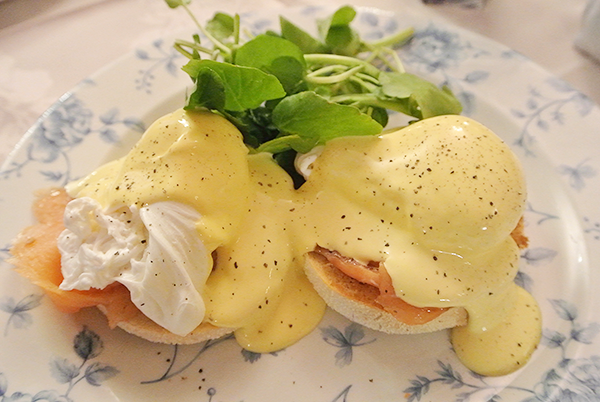 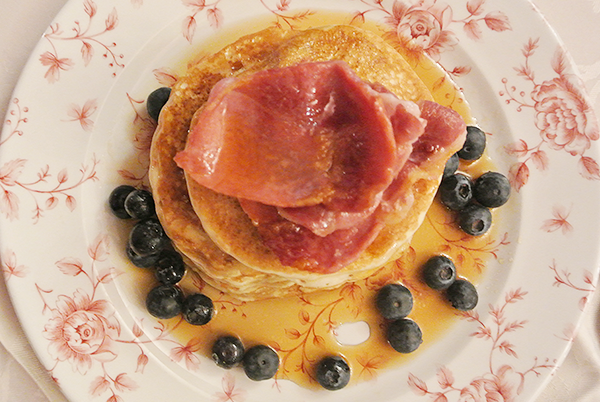 I previously had the pancake stack for breakfast and this time around I opted for the Eggs Royale. 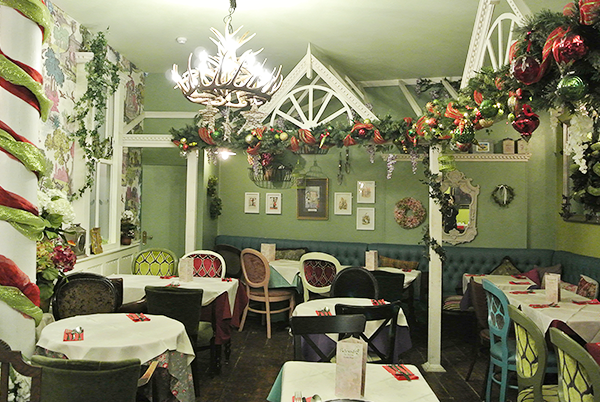 Both were absolutely stunning dishes and getting to savour them in these beautiful surroundings certainly added an extra element of enjoyment. 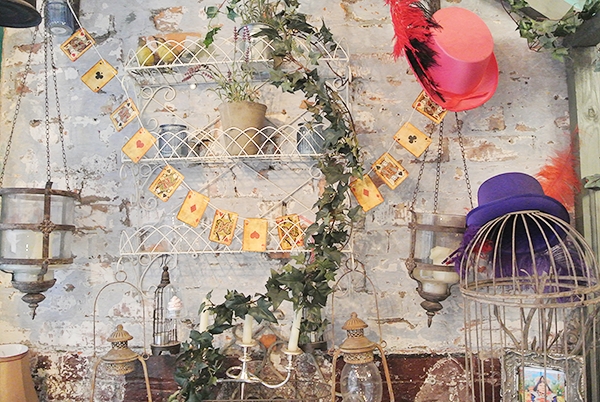 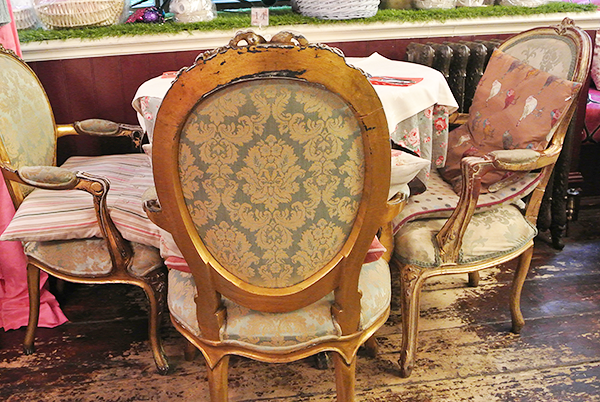 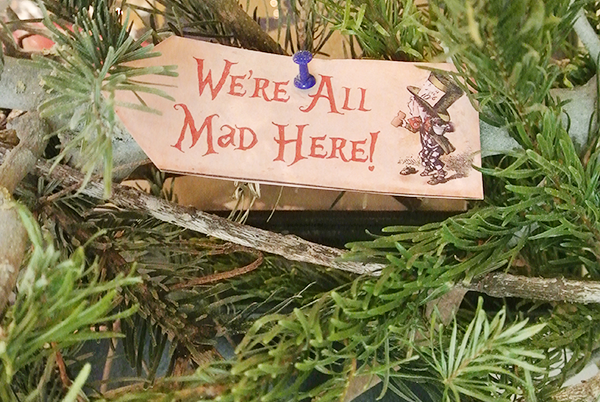 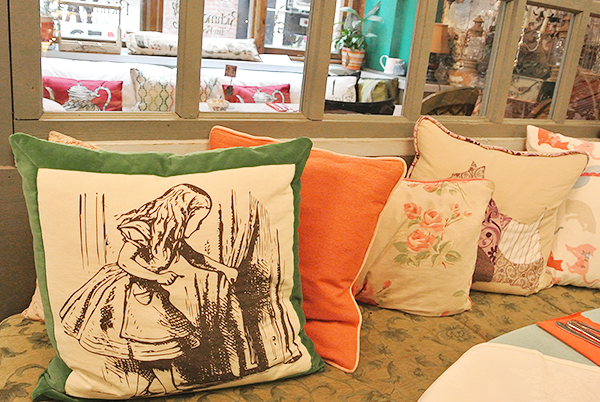 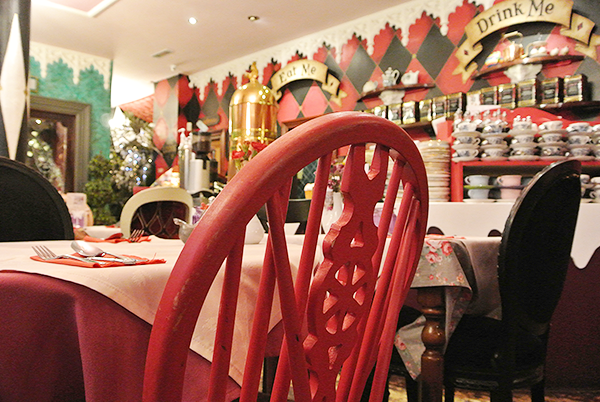 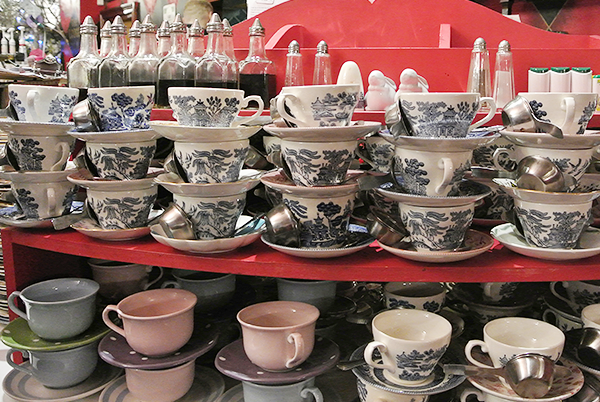 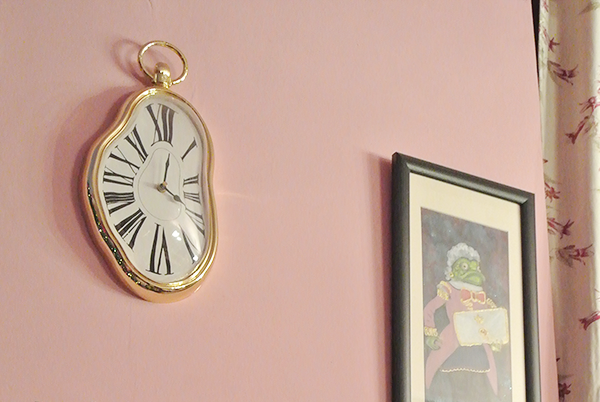 I hope you enjoyed this tumble into wonderland via the Richmond Tea Rooms! 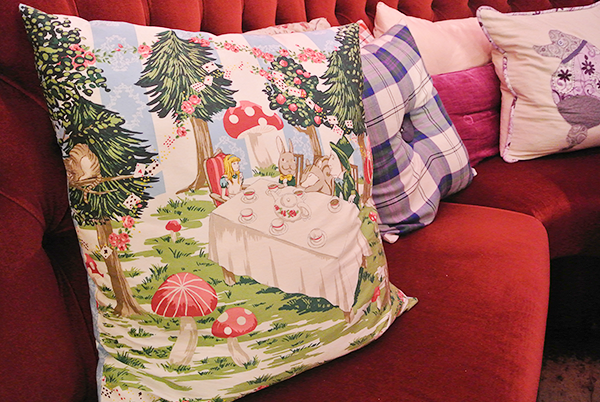 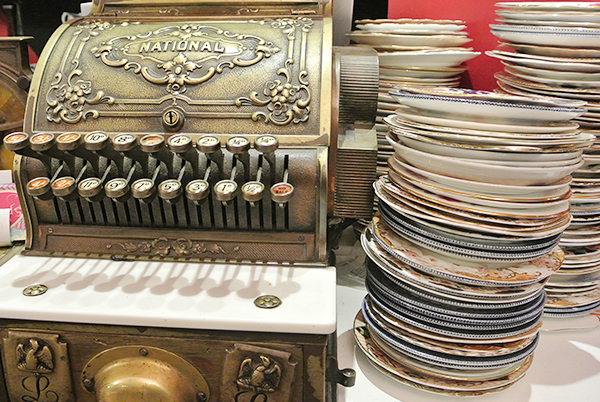 If you love Alice in Wonderland, also check out my posts on the Alice in Wonderland exhibition at the British Library and the Mad Hatter's Afternoon Tea at Sanderson London. 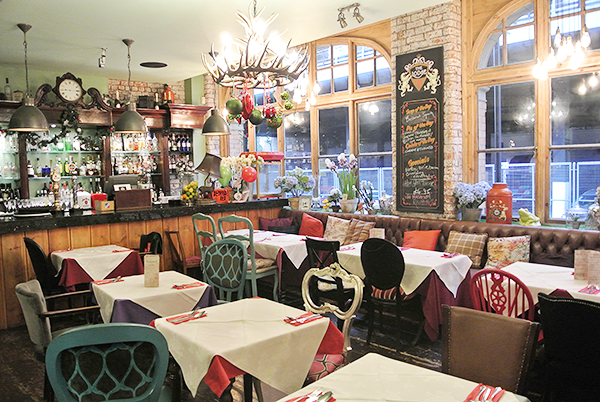 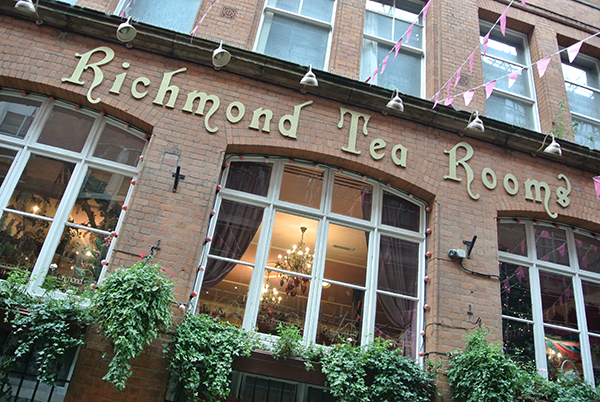 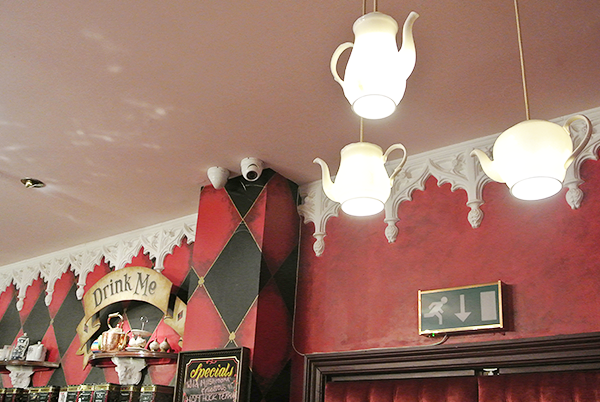 For more information on the Richmond Tea Rooms, you can visit their website here. 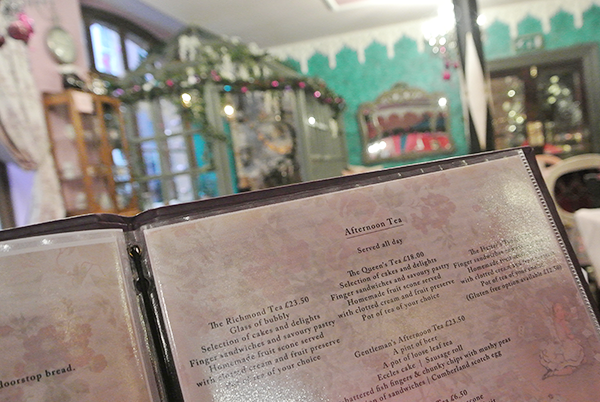 This is not a sponsored blog post nor did I visit the tea rooms for review. 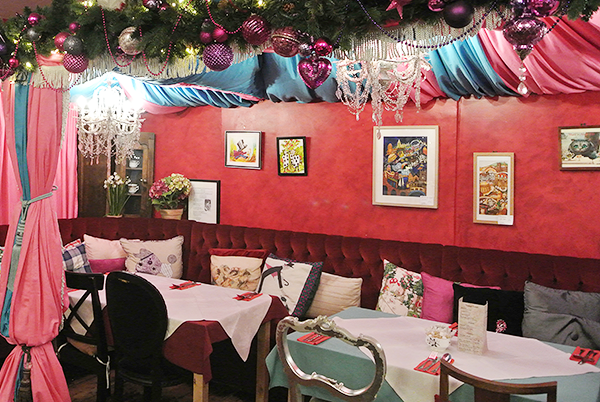 I just genuinely love this place and wanted to share it with you all!